Just as many people have a negative view of sales because of bad experiences with pushy salespeople, it’s quite possible to misunderstand the phrase “marketing automation.” The concept comes off as sterile, seeming to lack any human element. This perspective is understandable. But just as sales does not have to be smarmy and manipulative, marketing automation does not have to be detached and impersonal. In fact, as your business grows, you will need suitable resources to organize all the details that will start to overwhelm you. Properly understood, marketing automation actually strengthens brand-customer relationships and makes your interactions more manageable as your business grows. And while it does require software, automation is not merely about how to mechanize your marketing activity. Relationships are the heart of marketing, so you should use marketing automation to discover which tactics are most likely to appeal to your customers and how you can most benefit them in the long-term. Knowing which demographic your users are from, their personal interests, and their online habits enables you to personalize your efforts in a way you would not be able to otherwise. Puri and Patel recommend that once you identify how your customers’ interests align with your values, you should draw clients toward your brand by creating quality content, a tactic known as inbound marketing. Inbound marketing orients your marketing strategy to be a pull, instead of a push, mechanism. Rather than inundating your base with undesired messages, you will be creating information that benefits your audience on a personal level. Because effective marketing automation involves building relationships for the future, you need to market quality content across a variety of channels, including social media. In addition to email, you also need to consider your website layout and keyword use. Marketing automation will help you to manage your actions in all these areas. You might not immediately see how creating shareable content leads to sales, but connecting with your clients in this way will benefit you in the long-run. Marketing automation is more than software, but at the same time software is the tool through which you can manage your strategies and reach out to your user base. Traditionally, when people think of marketing automation, they think of automating emails. However, modern marketing automation can and should take advantage of multiple channels, not just email. One of the most advanced solutions out there is Marketo, which could be a good choice for large corporations, but whose prices are far too expensive for small businesses. HubSpot is an excellent resource and starts at around $200/month for the basic plan, not including a required onboarding cost of $600. Infusionsoft’s prices are comparable to those of HubSpot. GetResponse’s Pro Package (one step up from the Basic) is $49/month and offers an all-in-one solution for marketing channels. Instead of having to pay separately for email autoresponder, customized landing pages, or a webinar tool, all of those resources are integrated so they work together. 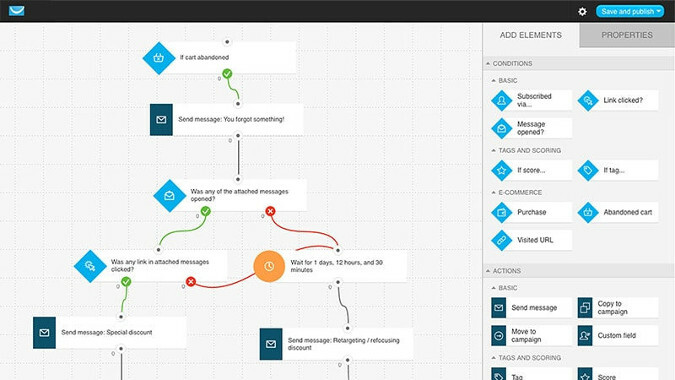 The new workflow automation can segment subscribers and send customized messages based on customers’ actions such as whether they opened any of your emails or a particular email. Custom workflows allow you to better time and target messages based on which link they click in a message. Appearing indifferent can be a consequence of misplaced timing, which causes your clients to perceive you as blasting them, even if you’re not. This mistake is also typically the result of not gathering good data on your users. 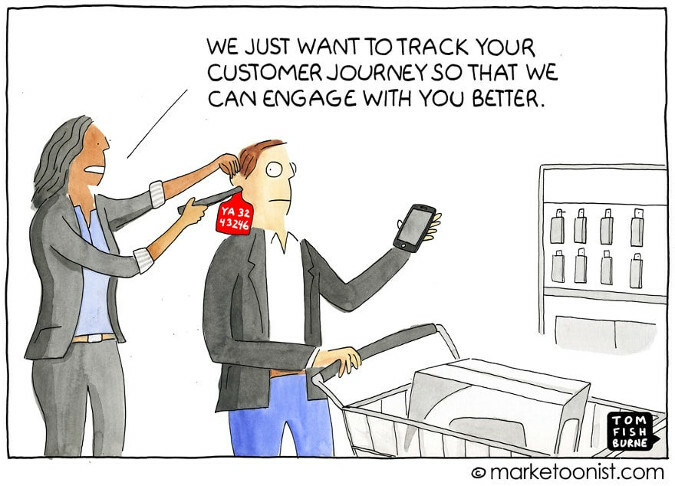 Make sure that you are collecting info on which channels are actually providing you with customers, which demographics your customers are from, and where your respective customers are in their buying journeys. It is crucial that as you gather data about your clients, you do not rely only on one piece of data. You must consider all the information you are gathering as a whole. Otherwise you risk irritating your clients and wasting your own money by making false assumptions about what your customers want. Because relationships are integral to marketing, it’s important that you do not merely focus on getting new customers, but that you maintain your relationships with the customers you already have. Clients who have already committed to your brand provide a lot of in-depth data that you can leverage as you improve your outreach. Make sure that you don’t neglect them. No one wants to be spammed, but people do appreciate content that makes them feel valued. Far from being impersonal and detached, marketing automation allows you to be more personal with your customers than you could be without it. And rather than being overwhelming, the variety of channels available to you to connect with your users can be a significant asset. With the right savvy and data, you can choose valuable software to simplify your marketing efforts so you can know and meet the needs of your clientele. Can anyone name a good content management system before WordPress, Joomla, Drupal that you had to pay top dollar for… that was not open source? I think that the way of the future is open source marketing automation tools… what are your thoughts? That’s an interesting point. I have to admit I haven’t given the idea of open source marketing automation a lot of thought, but it’s certainly something to consider. Marketing automation exists for a reason – because it works. There are plenty of stats all over the net that show the advantages of using it. Our choice of email marketing automation solution (SendPulse), being affordable yet feature-rich, allowed our startup to make use of advanced functionality like autoresponders, segmentation and personalization from the very beginning, in spite of our budget limitations. Coupled with detailed statistics and analytics all those features made it possible for us to optimize our marketing activities and interactions with our clients to the point where our conversion rates significantly increased. If done right, marketing automation becomes a major factor of your businesses’ success. Really Great piece of info. The Integrated Marketing Association (IMA) recently launched a research study on the Total Cost of Ownership for Marketing Automation. The study takes a closer look at the investment in time and resources required to implement a marketing automation platform. Thanks, Evie! It’ll be interesting to see what the study finds.